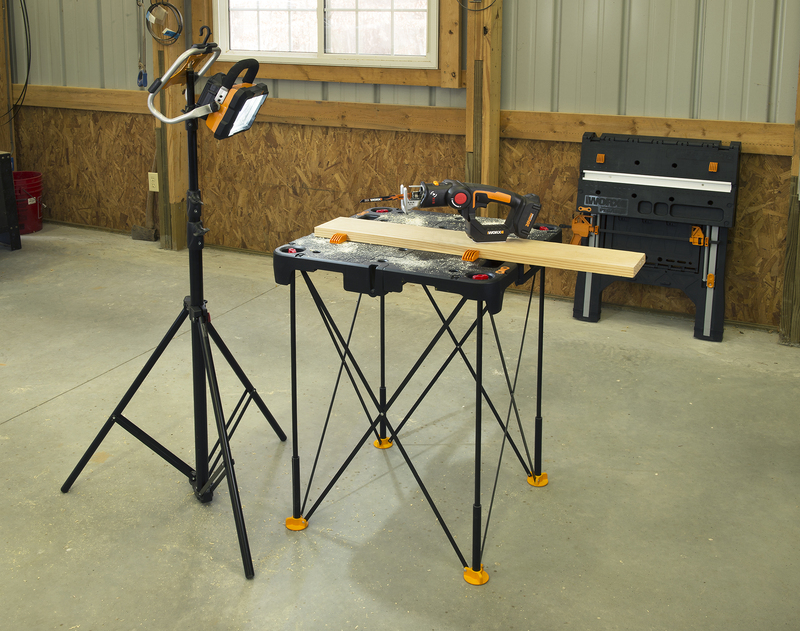 Carter Products says its Carter SP44 inspection lighting system has been recently re-engineered for greater utility and durability and the SP44 four-light model can now be bundled with its heavy-duty stand. The Carter SP44 inspection lighting system helps users identify surface scratches, dings and other defects on the sanding line, says the company, with applications for the furniture, cabinetry and case goods industries. The white light provided by four non-glare beams identifies imperfections that need additional attention, says Carter, and can be used for quality control in applications such as widebelt sanding, hand-sanding and veneering processes. For maximum surface contrast and fastest defect detection, the SP44 offers up to 15° of articulation in the light angle. The non-glare, flat beam bulbs improve visibility while reducing eye fatigue, adds Carter. The sturdy stand features upgraded adjustment hardware and the low-voltage transformer and enhanced housing ventilation are designed to provide maximum bulb life. About Carter Products Co. Inc.